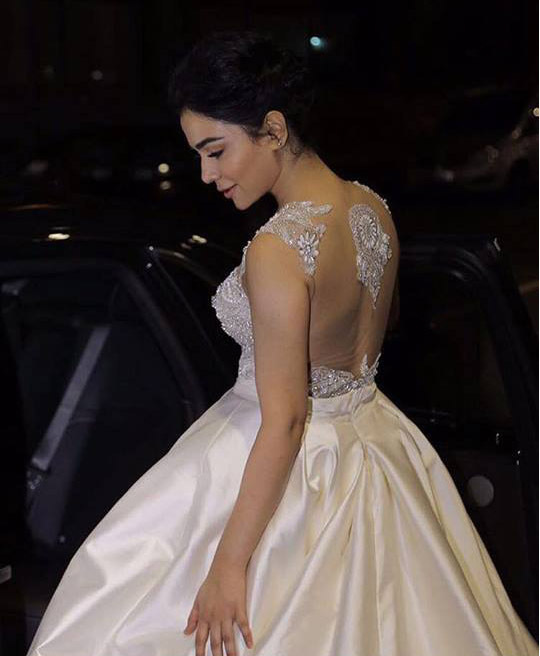 Humaima Malik gives us major fairytale princess vibes in the latest runway collection by Zuhair Murad styled by Oozy Shah,she ruled the red carpet at IPPA in London. Sundays done right! 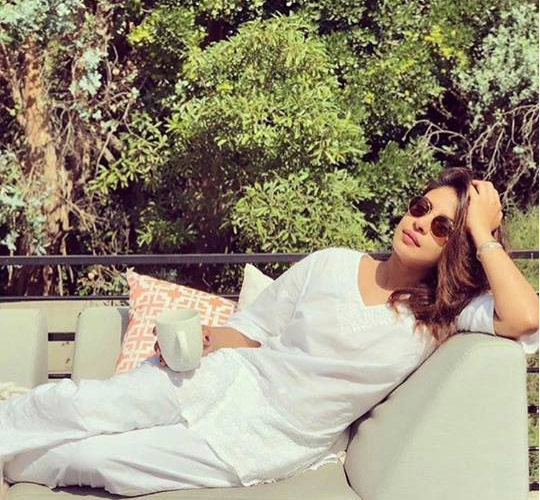 Priyanka sipping on coffee and relaxing in a white kurta pajama. Momina Mustehsan regal in Ali Xeeshan at the L’Oreal Professional Business forum in Seville! Absolutely in love with her entire look. Crushing on Karishma Kapoor oh so chic travelling style. We have got our eyes on her Alexander Wang dress and that Gucci bag. One can never have enough shoes! Black lively deciding on what shoes to pack for her next vacation. Bebo always on fire! Slaying in Nashish Soni’s black tuxedo dress, sparkly Louboutin shoes and a Farah Khan Ali brooch. Sonam Kapoor super glamorous in a stunning emerald Fouad Sarki Couture gown at the Vogue Women of the Year awards. An all white affair! Gigi Hadid heads out looking ethereal in Brandon Maxwell dress and Messika jewellery. Oh hello hottie! Ayesha Omar photoshoot ready in Tena Durrani. Style goals level 100! Muzi Sufi picture perfect in a Zara top, Charles and Keith shoes, Miu Miu sunnies and a Louis Vuitton bag. What's In Store: Saira Shakira's 'A Monsoon Wedding' Collection!